Study Spanish abroad in Nicaragua. Spend as little as a week or more than a month in our spanish immersion program! 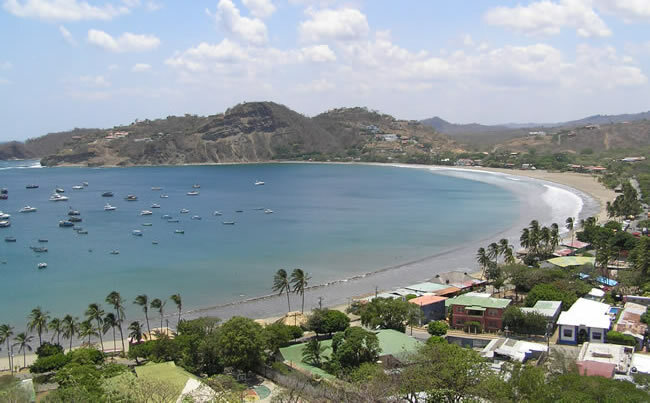 San Juan del Sur is a beautiful town on the pacific coast of Nicaragua, not far from the Costa Rica border. View our listing on TripAdvisor.com! If you are having trouble finding the school, you can ask anyone in town for Veronica's Spanish School (la escuela de español de Veronica) and they will be able to help you! • Experienced director Veronica Castro can tailor your experience to meet your needs! •Veronica and several of our teachers have been specially certified and trained in teaching Spanish as a Foreign Language! We work closely with the Nicaragua Children's Foundation to provide special opportunities to volunteer with the school's social projects.